Why write about lawn grass on a conservative blog? Conserving money over time is a good enough reason for me . . .
What we need is a grass that is winter hardy, yet drought tolerant for the summers we get. As I look around my neighborhood, I can see that the lawns have suffered this year from many days of 90 plus temperatures. 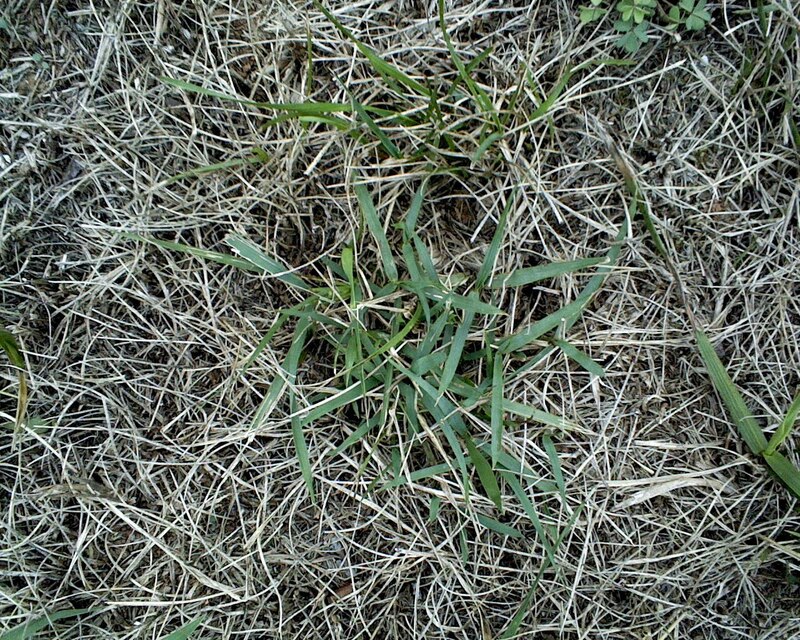 Fescue has been replaced by crabgrass. Lawns that are watered regularly are still showing signs of drought near the curbs. The best looking lawns in the neighborhood are those that have been invaded by Bermuda grass. 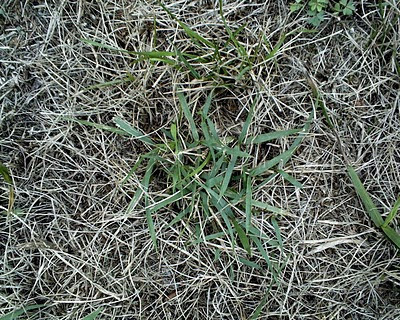 I have found Zoysia grass to be very drought tolerant, and winter hardy in the Knoxville area. Given enough time, it produces a dense, even turf, even in heavy clay soils. It is stoloniferous, which means that it puts out runners above ground. The runners from different plants cross one another, and provide excellent coverage, and the Zoysia eventually choke out most weeds. Zoysia comes in three primary varieties (cultivars), Emerald, Meyer, and Zenith. Emerald has a very fine blade, and can be cut very close. It is propagated by sodding or plugging. It spreads very slowly. Meyer has a wider blade than Emerald, but finer than fescue, and makes a very nice looking lawn. It, too, is propagated by sodding or plugging. Zenith looks much like Meyer, and has the added advantage that it can be propagated from seed, as well as sodding or plugging. Having used all three, I find the Emerald too slow, and like the option of starting from seed, so I recommend Zenith. Zenith seeds, as well as sod are available from Super-Sod. The current price is about $25.00/pound. 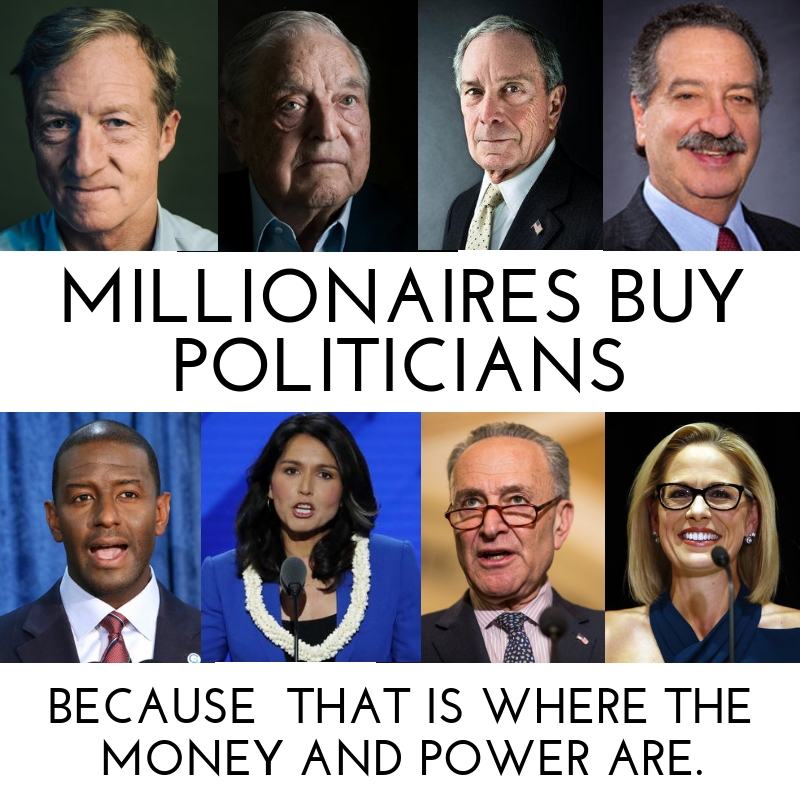 This seems high, but remember, we are talking about conserving money over time. 1. If you have enough money to burn a wet dog, buy sod from Super-Sod, or your supplier of choice. Start this in late spring or early summer. Till and smooth the soil, and lay the sod. Do NOT just lay it on top. Water frequently the first summer. 2. Buy Zenith Zoysia seed, and plant according to the included instructions. This includes proper tilling, as instructed. Water frequently as instructed. 3. Buy a small amount of sod, and a plugger. I bought my plugger from Mayo's Garden Center several years ago. You can find one there or online. [The linked proplugger is a better choice.] Plant plugs on one foot centers in the spring or early summer. Water as directed.Once you have some areas of sod growing, you can transplant plugs to other areas of your lawn. I am using a combination of methods 2 and 3. I seeded some of my lawn. After it started growing and made a dense turf, I cut plugs from it, and transplanted them. I have had great success doing the transplanting in the dead of winter, when the grass is dormant. When spring comes, it wakes up and starts growing, without the need for watering, except on the most dense clay soils. Because of the runners, it can invade flower beds if you are not careful. This can be controlled by a mechanical barrier, and use of Roundup (or equivalent), available at your big box store. For some, the dormant straw color in winter is objectionable. I view this as a cycle of nature. This is written at the first of September, which is not a good time to start a Zoysia lawn. This fall, for some coverage, rent an aerator to run over your lawn, and sow some fescue and/or rye. It has become quite a fashion to install artificial grass instead of the original one. Artificial Grass Installation saves both money and time. Fake turf also lasts longer and simulates the same texture and appeal of the original lawn. Informative post.. I am looking for professional landscape designers for landscape installation .. I heard good reviews about horticulturalsolutionsny ..anyone aware of it? mellojello, I did the work. share more article like this because this article is informative.